Critical Steps To Take After A Car Accident | McWhirter, Bellinger & Assoc. No one wants to be involved in a car wreck, but every year thousands of people suffer serious injuries behind the wheel. If you have been in a wreck, it is important to take the right steps. The things you do now could mean the difference between getting the compensation you need for your injuries and property damage, and being left high and dry to recover on your own. Here are some critical steps you should take after any automobile wreck. Safety always comes first, so it is important to move your car to a safe location and encourage the other driver to do the same. Even if the car has sustained damage, you should be able to move it to the side of the road or push it out of the lane of traffic. If the car is immobile and cannot be moved, turn on your emergency flashers so other drivers can see the vehicle and avoid another crash. Exit the vehicle when it is safe to do so, and get out of the roadway. Do not re-enter the roadway once you are clear. Call 911 right away if one or more cars cannot be moved. Even a low-speed crash can result in serious soft-tissue injury, so do not assume that everyone is OK just because neither car was going fast. Check yourself for injuries, ask your passengers if they are hurt, and ask the other drivers and passengers if they have been injured. If anyone has been injured, call 911 for help immediately. 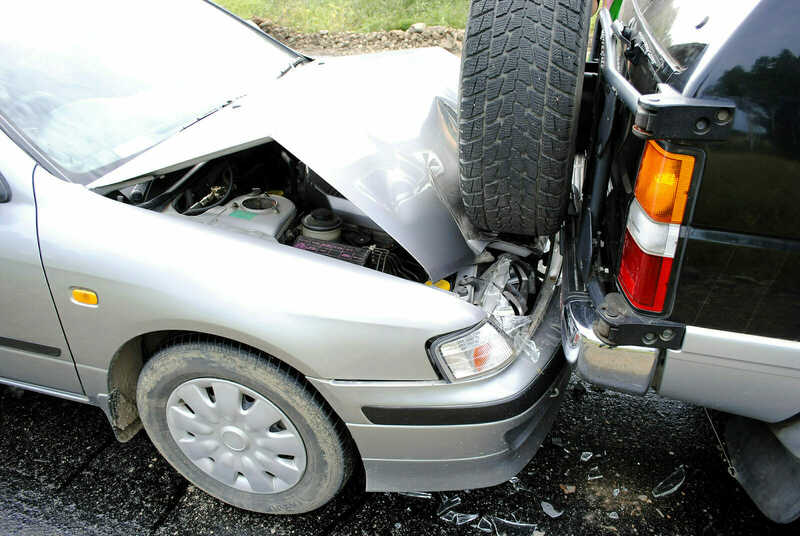 If there are injuries to anyone involved in the accident, you should call for help right away. Use your cell phone to call 911, provide the exact location and wait for help to arrive. You will also need to call the police if one or more vehicles is disabled and will need to be towed from the scene. Check the wheels, frame, and other major components for damage and call a tow truck or roadside assistance service if the vehicle appears unsafe to drive. You will need to exchange insurance and contact information with the other driver involved in the accident. Get your insurance card out of the glove box as soon as you can and offer it to the other driver, along with your contact information. Ask the other driver for the same information and write down their full insurance information. You will need the name of the insurance company, the activation and expiration date of the policy, the policy number, and the full name of the covered individual. Call the police at once if the driver is unable to produce their insurance information. Be sure to write down the license plate of the vehicle first. If it is safe to do so, take lots of pictures. Whether you use your cell phone, or a standalone camera, you should capture images of the area where the accident happened, including documentation of the weather conditions at the time and the location of stop signs, red lights, and other traffic control devices. Document damage to your own car and the other vehicle as well. Take long-distance overview shots that show the dents, breaks, and damage in context, then zoom in and take close-up shots of the damage itself. These pictures will be critical going forward, and they can help the insurance adjuster determine who was at fault and what transpired during the accident. It is critical that you get a police report after a wreck. If the two drivers cannot agree on who was at fault or what happened, a police report is crucial. You should also insist on a police report if one or more vehicles has sustained significant damage or if there are injuries to a driver or passenger. In many states a police report is required in such circumstances, so call for help as soon as you know there are injuries or significant damage. Have all your documentation with you when you call, including the insurance information you took down earlier and any pictures you captured at the accident scene. Be sure to get a claim number from the representative you speak to, and instructions on how to submit the pictures and other documentation you captured. Most insurance companies allow customers to upload photos online, but you may need to set up an account before you can send the pictures. No matter how careful you are, accidents still happen. If you are the victim of an accident, you need to take the right steps as soon as the cars stop moving. Taking the steps outlined above is the best way to protect your rights and help you get reimbursement for your medical bills, property damage, and other expenses associated with the accident. At McWhirter, Bellinger, and Associates, P.A., we help hundreds of automobile wreck victims every year. If you have been the victim of a car wreck, call us immediately to find out how we can help you.